When organising a camping road trip, it is important to be appropriately equipped with the right materials. Our group is somewhat experienced in this, so packing and creating an equipment list for the trip was not a hard task. We brought most of our equipment from home, but there were some stuff that we couldn’t transport or carry, so we decided to rent what we needed in Iceland. 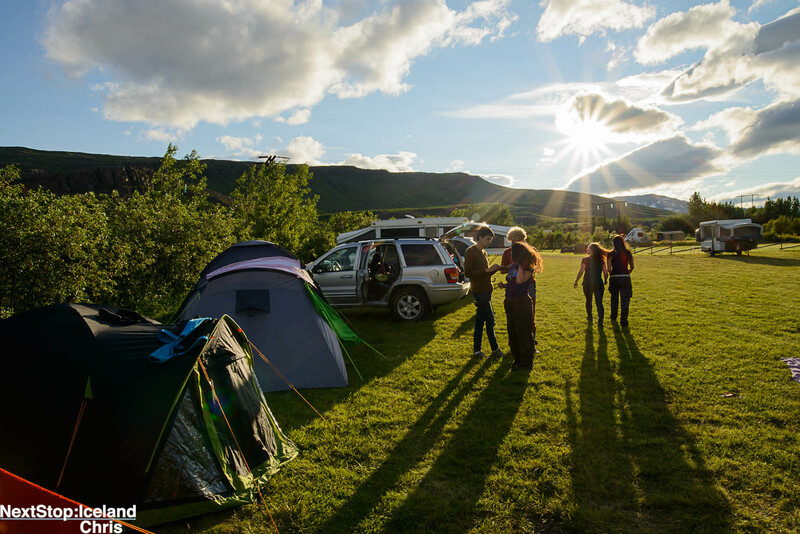 We found Iceland Camping Equipment online, and after some search, we decided to rent from them. Apparently, that was a good decision: the owners are very supportive and friendly and provide high quality materials in very good prices. 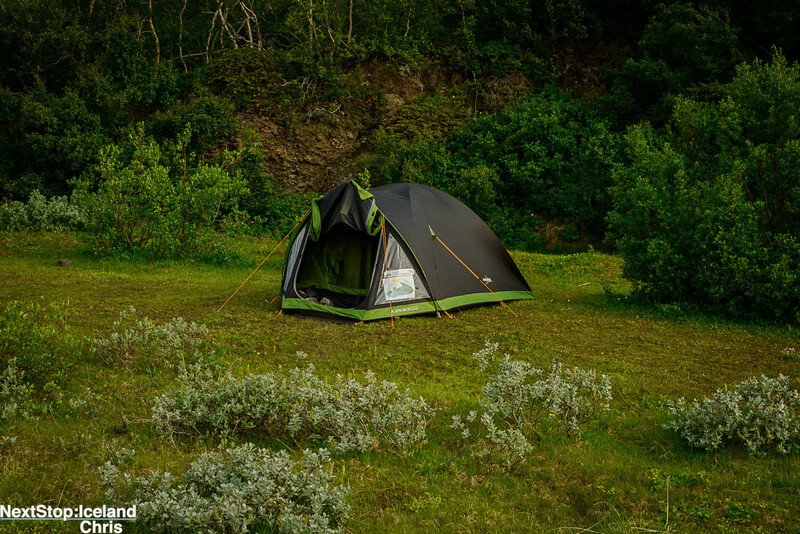 The Vango tent was easy and fast to pitch, with some practice we needed about 10 minutes. This was very comfortable, as we changed campsite every day. 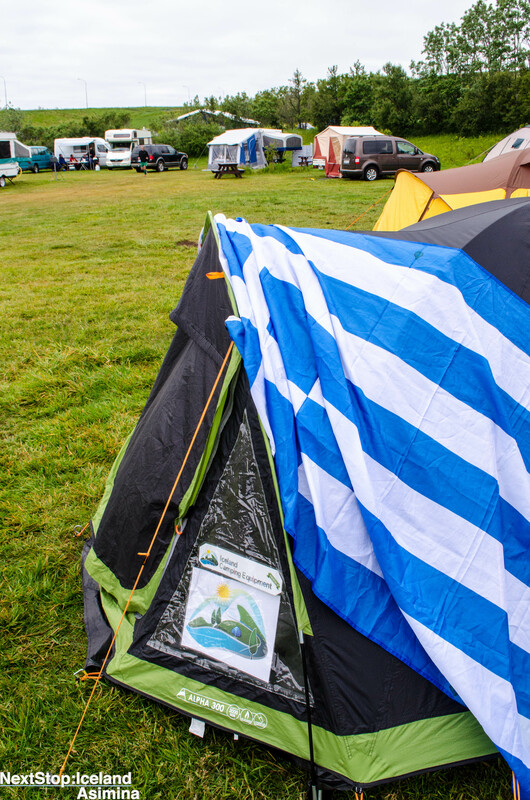 Correctly pitched, the outer tent keeps the inner tent dry. Three of us were sleeping in the tent, therefore it was big enough with still little space left at the end of the feet for clothes. We left our shoes and backpacks in the front porch, where they stayed dry. 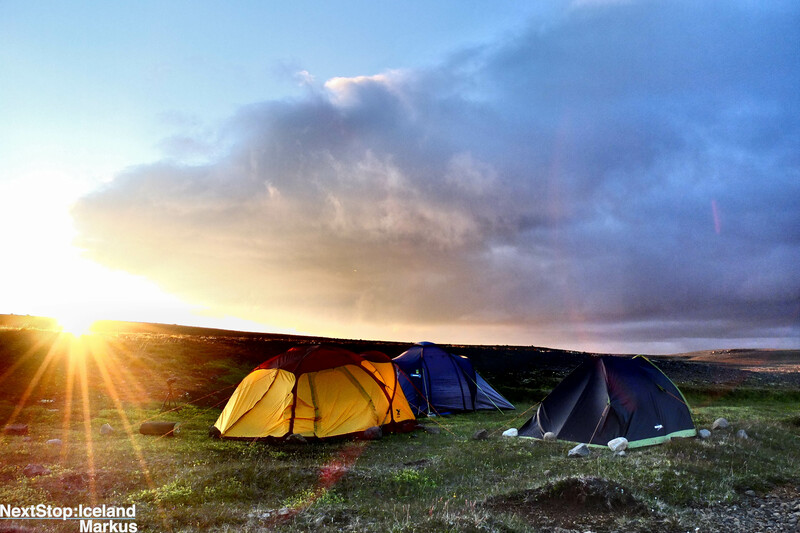 The tent proved to be a reliable attendant for our Iceland trip, in all weather conditions and camping terrains. 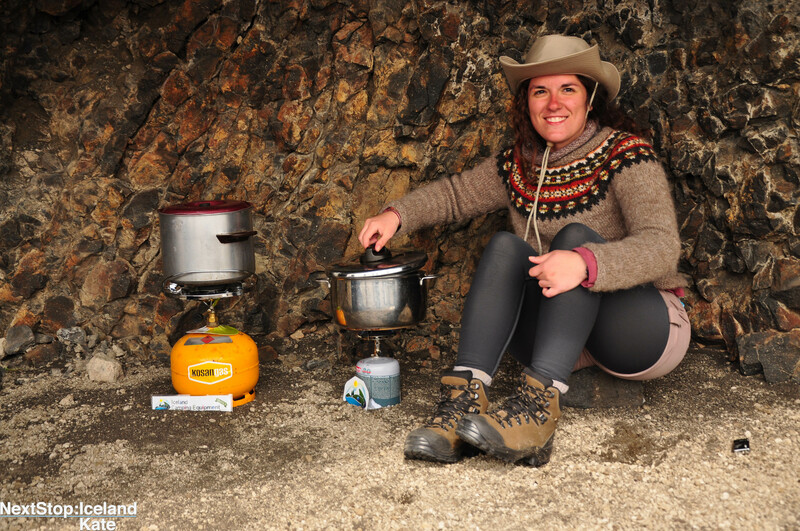 At the beginning we were considering to take small gas stoves (100g-200g) with us, but because we are 9 people, we decided instead of two or three small gas stoves, to take the big gas stove of 2kg, and I believe it was the right decision. This gas stove boils water very fast, even for 9 people (approximately 12-18 minutes). Of course it is better to boil water in a windless corner, however this stove can be used even when it is not windstill. For backpackers it is too heavy and oversized, but if you go by car it is the right decision. The big gas stove helped us avoid long cooking stops and within two weeks of cooking 3 times a day(or at least boiling water), we did not run out of gas with the 2 kg bottle. The mattresses were great, because they were lightweight, easy to carry, use and of good quality. They offer the appropriate amount of layering and distance from the ground for it’s user to rest appropriately. Even though we were using them constantly for 2 weeks, no signs of air leaking or any faults in their surface appeared. 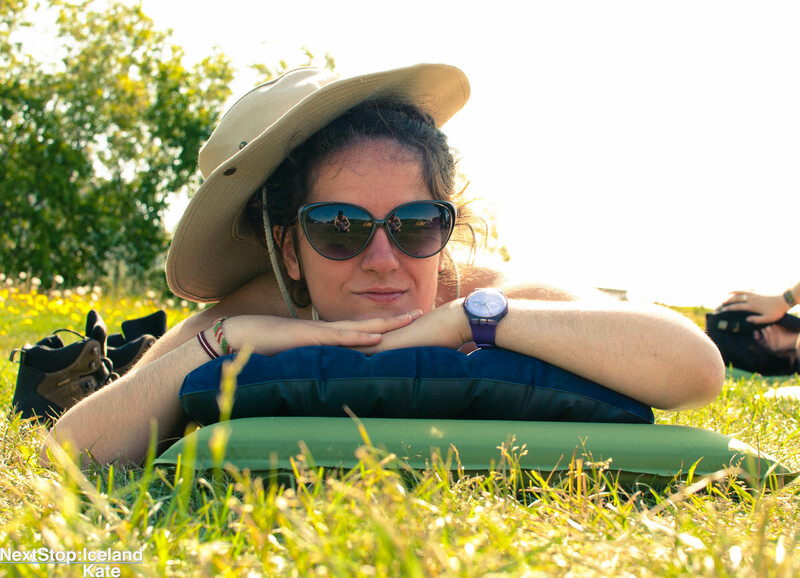 They are great for both hard and soft ground, and even better for sunbathing under the Icelandic sun! Do you like our work? Would you like to support us?